One of the most decorated football managers of recent years, Louis van Gaal, announced on Tuesday he was taking a one-year sabbatical from coaching. The Dutchman was in charge at Barça for two separate periods, the first of which saw him lead the team to two Liga, one Copa del Rey and one European Super Cup title between 1997 and 2000. As well as overseeing a total of 201 matches, Van Gaal also handed debuts to some of the greatest names ever to play for the team, including Carles Puyol, Xavi Hernández, Víctor Valdés and Andrés Iniesta. 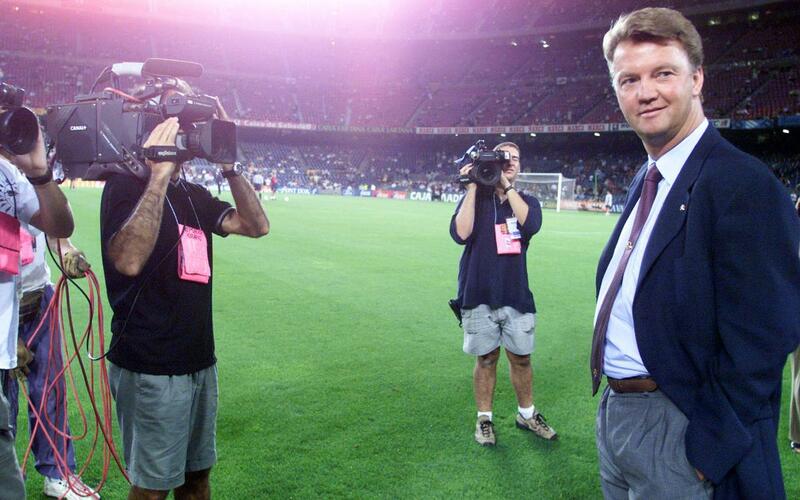 Louis van Gaal arrived in Barcelona as a replacement for Bobby Robson at the start of the 1997/98 season. The language barrier proved tricky at first, and he also needed time to get the players to understand his unique vision of football, but the results eventually started to come. His first year in charge saw Barça beat Borussia Dortmund to win the European Super Cup, and then go on to complete the league and cup double, the first time the club had done that for 39 years. The season after that, a young Carles Puyol made his first appearance for the club in a league game with Valladolid. Van Gaal’s third year in charge, 1999/2000, ended without trophies, but he’d be back at the club in 2002 for a second stint in the hotseat. Things didn’t go quite so well this time, and he only kept the job until January 2003, although that was still enough time for him to hand maiden chances to two more future club legends: Víctor Valdés and Andrés Iniesta.